Beyond communication struggles, we had a lot of eating struggles with A-Man. To this day, his diet is primarily grains and fruit. The only meat he eats regularly is processed chicken nuggets, and we have yet to find a vegetable he’ll touch. 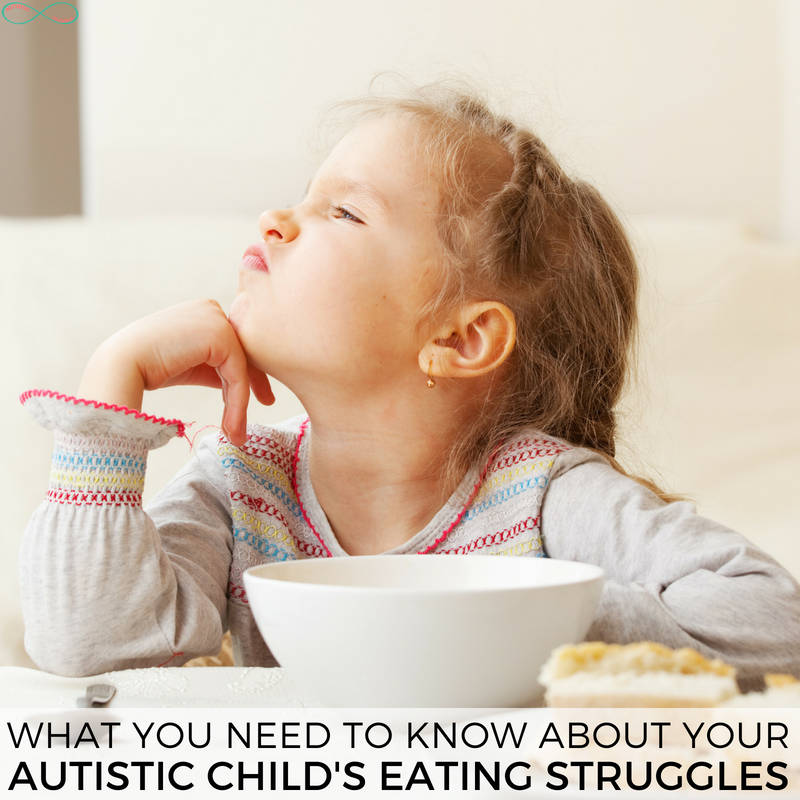 I had no idea that eating struggles for autistic children were so common! I feel like so much focus is put on the social delays that many autistic children face, that the sensory issues and eating struggles can get skimmed over. There are so many different textures to foods, and not all of them are good! Autistic children can be much more aware and sensitive to textures than typical children, and it’s important that we take these texture aversions seriously. As an autistic adult, let me tell you, I am incapable of eating certain foods. It isn’t that I’m a “brat”, it makes me physically ill to even touch the textures of certain foods (fat on meat, I’m looking at you). When foods with the wrong texture get into an autistic child’s mouth it can send them into a panic. Gagging, choking, and even vomiting can happen instantly in some cases. Sometimes you don’t even get the food in their mouth, though. Sometimes they will simply look at a food and not even consider touching it. 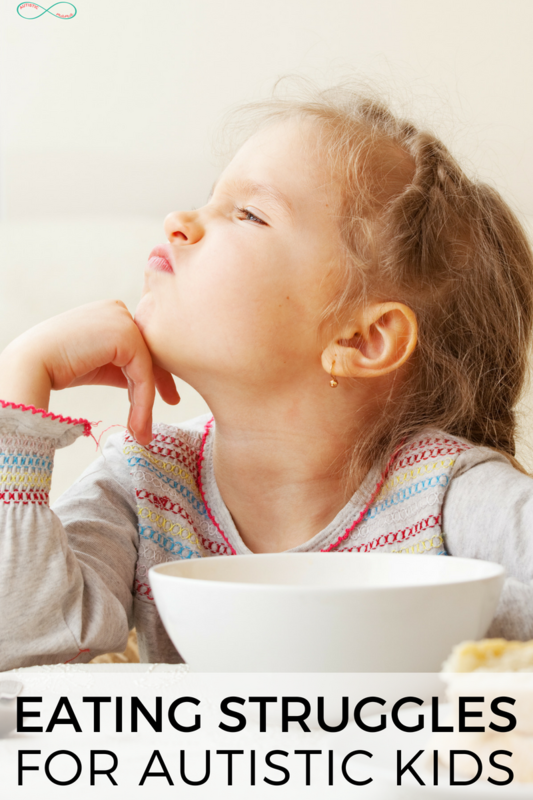 This is where it can be really frustrating when trying to get your child to eat. 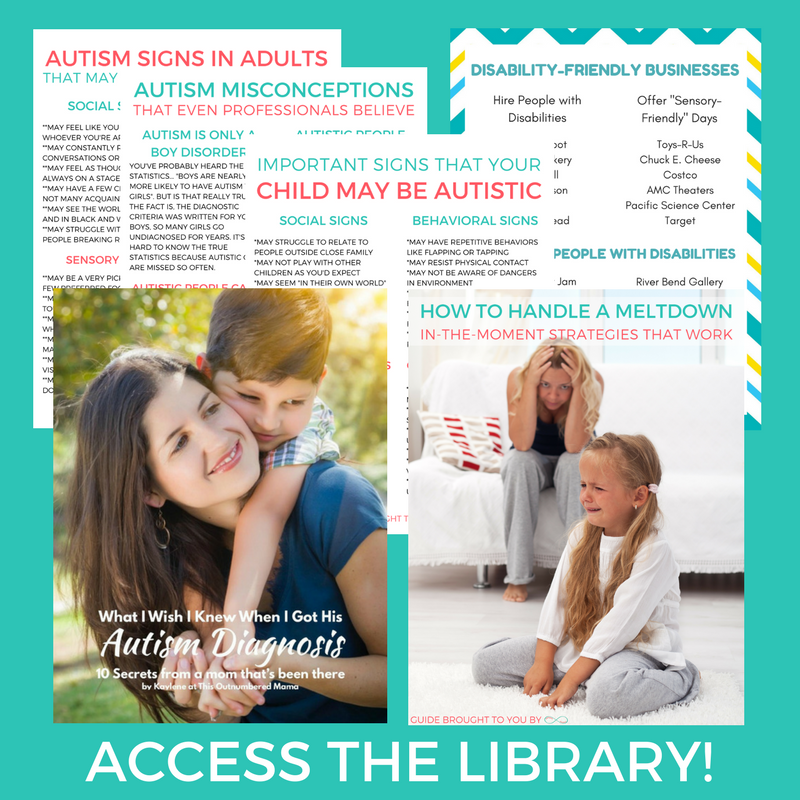 It’s important to keep in mind that autistic children tend to have heightened senses. Maybe it smells fine to you, but it is a strong unpleasant smell for them. Or maybe having a cup that’s the wrong color is really visually disturbing to them. Often autistic children will be extremely particular about the temperature of their food. 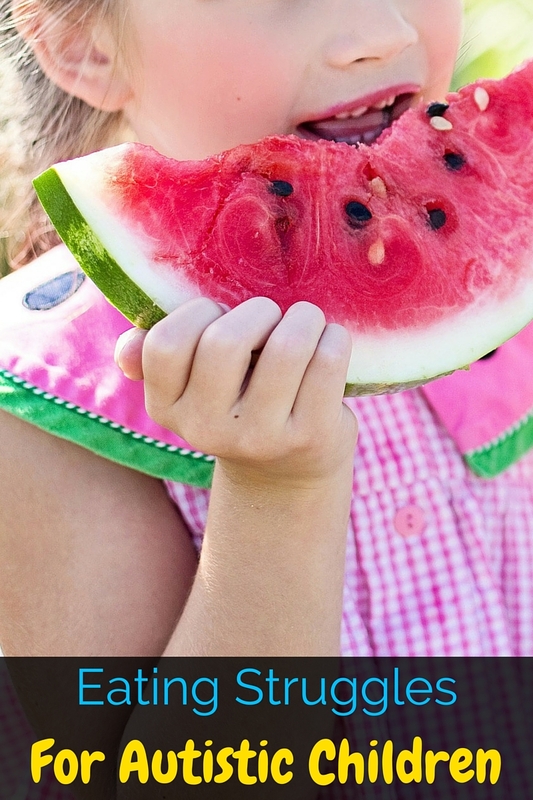 Beyond not being able to handle certain sensory input related to food, simply trying a new food can be a petrifying experience for autistic children. You know when you go to try a new exotic food and you get that little butterfly in your stomach because what if it is horrible? Imagine that except about 100 times worse and then being forced to eat the food without any say. Sound crazy? Yeah, it isn’t fun. Please do what you can to respect your child’s fear and take a step by step approach to introducing new foods. For example, first they need to accept the food in their space, then they might smell it, then they might touch it, then maybe a lick or taste, and eventually, they may be ready to eat it. It can take a lot of time to build up a tolerance to new foods. Attempting to force your child to eat foods that they don’t tolerate will not help with the eating struggles for autistic children. In fact, it can make the eating struggles more severe. Imagine you are absolutely petrified of water and it is literally painful for water to touch your skin. Do you think that someone throwing you into the deep end of a pool would help? Not quite. Like I mentioned before, please do what you can to respect your children’s fears and intolerances. If you need to, treat certain foods like allergens. You wouldn’t force peanuts on someone with an allergy, so don’t force noodles on your child. I know it’s hard. I know it feels like your child will never eat. I know that well-meaning family asks you if your child ever eats “real food” at parties. I know that the mean mom at the park gave you a nasty look for giving your child goldfish while she opened up her GMO-free-all-natural-fruit-something-or-other. Try to hang on, mama. Continue taking baby steps towards trying new foods, and get really good at making whatever it is they will eat! Fat on meat is the same way with me. I will mutilate my chicken to avoid eating gristle. I try foods by smelling them. If it doesn’t pass the smell test, it’s not entering my mouth. I have a different definition of “trying foods” from others. Thank you, from a struggling mama. My daughter has strong eating preferences, but she also has behavioral preferences; she will almost exclusively eat for her father, and not for me, unless I’m giving her pre-packaged food. I’ve been wracked with guilt because I feel like I ‘should’ be feeding my daughter a wide variety, and we have so much amazing produce available. One morning, I made three breakfasts (all by request), and she ate a fig bar instead. Of course, every time I take her on a social visit, I’m busting out the fig bars and such. I worry that our family and friends truly think I feed my daughter pre-packaged junk out of laziness or because she’s spoiled. It’s really hard to deal with the food selectivity if I compare my experience to the ‘norm,’ but I’ve found it’s easier if I practice acceptance and remind myself that it’s so much better to work with her regarding food than against her.